The Expert Advisor opens and closes positions using Bollinger Bands signals: it buys on lower bands when price rolls back, and it sells on upper bands. It has the option to close positions by an opposite signal, by take profit and stop loss, move a trade to breakeven upon reaching the central Bollinger band or after a certain price movement. 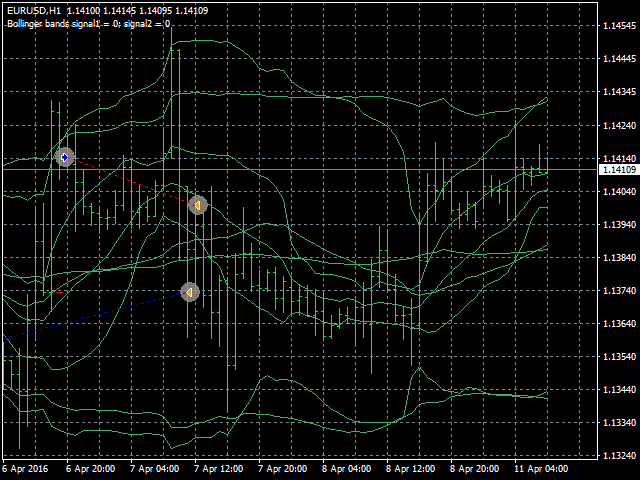 Many good strategies use one or more Bollinger Bands indicators. In this EA, it is possible to use up to 3 such indicators. When using the first and second indicator, trades will be performed between the lines of these indicators. 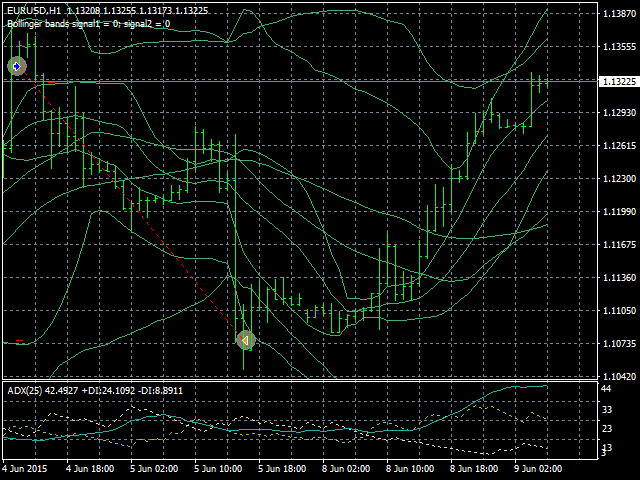 The third Bollinger Bands indicator is used as an additional one on another timeframe. To filter strong trend movements, you can use several moving average lines so that trades were executed only by trend. Enabling this option can significantly reduce the number of deals, but they will be more accurate. 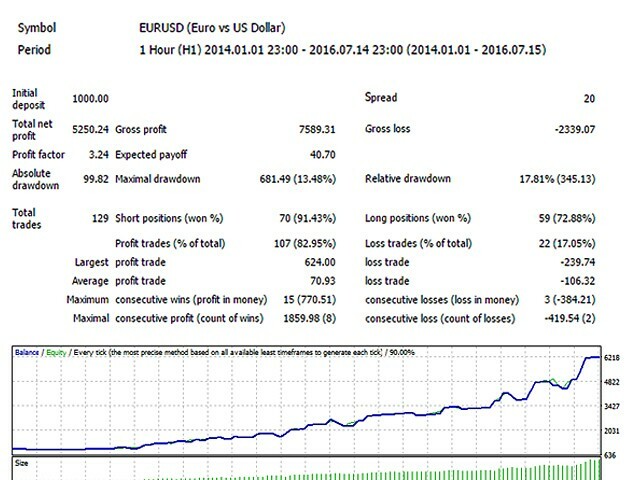 The EA does not use risky trading methods, and can trade on most of currency pair and timeframe. 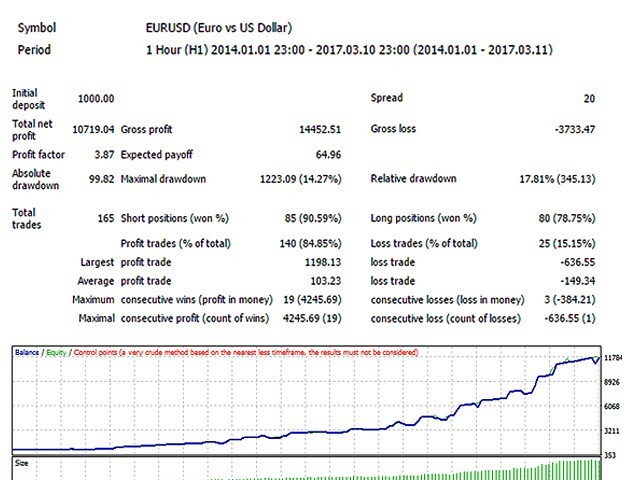 In addition, it does not cost much, and its settings are quite simple, which can be good for both experienced and novice traders. DecLotAfterLoss - reduce the lot after the unprofitable closing of the previous transaction. We all need proof that Alexanders EAs results match the backtests results...and there is still not a single successful live account, which is understandable because it looks like reality here is VERY different from backtests, even made with high quality. I don't know why. I am surprised. This EA is better than some few hundreds dollar ones. Simple and effective. Looking forward to more sets. Backtesting was great but it is not so shiny on a real account! very nice backtests results so far. mproved MA filter, added new settings for it (MAFilterMaxShift, MAFilterMinimumValue). Added tips (helpful advice). If not needed, they can be disabled (parameter ShowHints). Fixed inconsistency issues with customizable parameters. 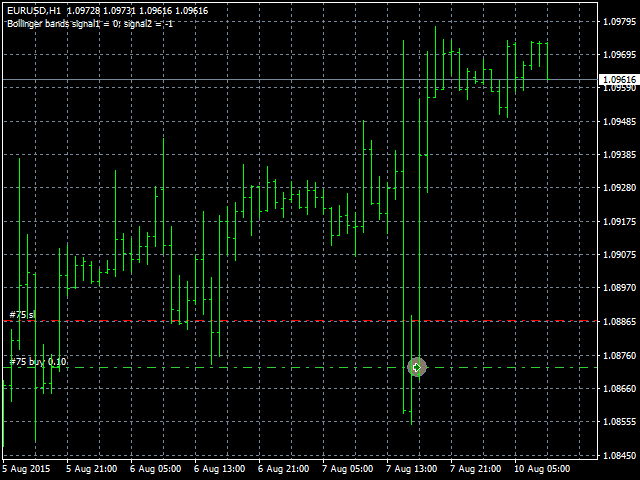 Default settings are made for EURUSD M30. Also, new parameters were added to control the lot volumes depending on the number of transactions. The type of parameter Percentage of free money has been changed. Now it can be adjusted much more accurately, e.g. 0.7 or 1.5. Also, fixed the comments when opening orders.